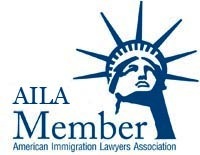 Your TOP-Rated Immigration Lawyer. Compassionate. Competent. Amazon-Published. Biography of Attorney Steven A. Culbreath, Esq. “I have known Steven for a few years now and got to the point where my green card needed reviewing. He did a fantastic job,helping me through the process. "Great communication, it is a professional pleasure to work with him. 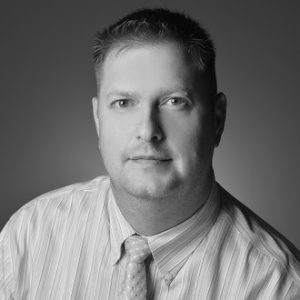 We know him for 10 years, helping us to get initial and renewal E2 Visa(s) for both investors and a essentail worker." "Mr. Culbreath did a great job helping me get all my documents and application ready for USCIS. If it wasn't for his help and expertise, things wouldn't have gone nearly as smoothly as they did!" "He worked very hard to make my dream come true. Great guy, great service. Very knowledgeable. If you want to have your case dealt with in the best possible way, hire Steven. Highly recommended. Thanks so much Steve." "I felt very comfortable working together with Steve Culbreath. Thanks to his help the whole process went faster and easier than I expected. I will always recommend Steve as a positive, professional and helpful lawyer." "On receiving documents in German, requiring for me a translation and documents requiring notarization by a Rechtsanwalt, I learned about Atty Culbreath and made an appointment. Mr Culbreath provided an English translation, notarized the German document documents and did it at a most reasonable fee. "Steven has helped me file for dual citizenship. He is very knowledgeable and it helped that he speaks English & German fluently. He gave great advise and worded things right so that my Beibehaltungsantrag was approved. I already recommended him to friends and will keep on doing so." "Mr. Culbreath was an exceptional lawyer from the start. He was professional and friendly. He was very responsive and never hesitated to answer any of our questions. We are very glad that we chose him as our immigration lawyer!" "Steve did an an excellent job helping me with my E2 visa application approval. He is a very professional, competent, knowledgeable, and approachable lawyer. I would refer him to anyone I know. Thank you Steve!!" "Perfect handling of every situation. (we had a few !!) Always a good answer even in the years in between the visa applications." "Steven was fantastic! We hired him for our US Immigration via marriage. Canada -> USA. Personable, informed, relaxed, and answered all our questions and concerns to a T. Smooth sailing. I'd recommend him 100%! Thank you!!" "Steve is a highly knowledgeable and competent attorney. My case was very complicated and emotionally draining and I felt very well understood. Everything went exactly as predicted by Steve. He is fast, precise and from a human standpoint has a lot of empathy. I hired him again!" "Mr. Culbreath is the best. My family and I met Mr. Culbreath when we were in a very desperate situation. With his knowledge and competence he was able to help us. He is not just competent he is also reliable, quick and very smart. It is always a pleasure to work with him." "I am so happy I was recommended to Steven to help me with my Green Card. He is very Professional, friendly and caring to deal with. Everything for me worked out great thanks to Steven. I highly recommend him to anyone. I rate him 5 stars!" "Great job and smooth sailing with my mom's naturalization!" "If you want the best you need Steven, he is knowledgeable, honest, detailed oriented, he really know what he is doing and he is an incredible human being. there is no difficult case for him and I will always be thankful for choosing him as a lawyer." Pay your consultation fee quickly, securely and conveniently online. Trust YOUR Case to ME! SAFELY OUT OF SOUTH AFRICA? — YES, You Can! Law Offices of Steven A. Culbreath, P.A. Law Offices of Steven A. Culbreath, P.A. 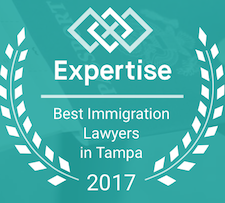 -- Immigration Lawyer, St. Petersburg, Tampa Bay, Florida, USA © 2017. All Rights Reserved. No part of this website or any of its contents may be reproduced, copied, modified or adapted, without the prior written consent of the author, unless otherwise indicated for stand-alone materials. The hiring of a lawyer is an important decision that should not be based solely upon advertisements. Before you decide, ask me to send you free written information about my qualifications and experience.